Comments: Manual Sahagun always unique. Great tracks! Comments: STOMP and HIT ME AGAIN are great. Will play. Comments: LOVE STOMP.. naughty little banger!! Comments: Great work here! Thanks for sending! Comments: The Cross is superb! Maceo & The Macks never sounded so fresh! Comments: great sounding funky tracks. like them all. Comments: Very good as always!!!! Comments: wonderful EP from one of South america's finest house producers! Comments: Quality sounds right here! Stomp is the one for me! Comments: stomp is nice, old relief records style track. A class! Will play in San Fran, Portland and Seattle this weekend! Comments: Great set of tunes!!! thanks a lot!!! Comments: Good one, full support as usual to Drop Music. Argentinean Manuel Sahagun has proved himself as one of the leaders of the burgeoning South American deep house scene in recent years with a string of releases on labels such as Wiggle, Blockhead, Kolour, Candy Music and So Sound. The ‘Hit Me EP’ is his second outing on Drop Music, the first being the ‘Dirty Dancing EP’ in 2008. Both his and Drop Music’s trademark deep, funky and bumping sound, complemented by well placed samples, is in evidence on three tracks, while the fourth cut mixes things up with a slower tempo broken beat. As a DJ influenced by the likes of DJ Dan, Derrick Carter and Sneak in the early 2000’s, Manuel positioned himself quickly as a house music reference among Argentinean DJs with his residences at Superclub (now Crobar) and Buenos Aires’ own Pachá. He also played in clubs and big festivals like Creamfields Buenos Aires, Personal Fest and Festival BUE sharing billings with international artists Chemical Borthers, Pet Shop Boys, Primal Scream, Blondie, P.J. Harvey, Morrisey Massive Attack and FC Kahuna. Today, Manuel travels all over the world playing at several events and bringing his blend of house music to fans everywhere. As a producer Manuel Sahagún began in 2002, but it wasn’t until 2005 when he got his break with an EP signed to Nathan Coles’ Wiggle Recordings. Manuel shows diversity a producer taking in deep, funky, tech, electro and disco sounds while keeping it fresh and original with clever sampling and funky bass lines, guitar licks, and trippy progressions. He has also been remixed by many important DJ’s from the underground house scene like Jay West, Da Sunlounge and Inland Knights. His music has received huge support from DJs like Terry Francis, Mark Farina, LawnChair Generals, Miguel Migs, DJ Heather and many tracks has been licensed to commercial compilations like Hed Kandi, Ministry Of Sound, DJ-Kicks, Milk & Sugar and more. 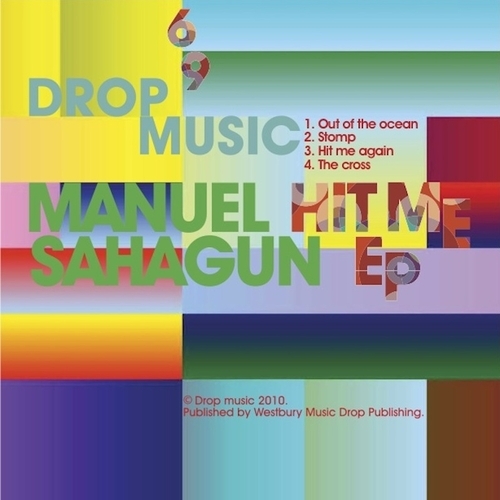 Unfortunately at this time we can't offer all the Manuel Sahagun - Hit Me EP tracks as individual wavs, as some of these tracks exceed the shops maximum (9mins) download length.